The Owls traveled to Front Royal Christian School for a non-conference match on 9/13/18. The girls got off to a good start controlling the first set 25-5. Lauren Mehl served 11 straight points in the first set, and in the second set Mehl served nine straight points as the Owls swept the Warriors with a 25-11 win in the set and a 2-0 team victory. Our record is 2-0 overall and 0-1 in the VMSC. The Owls traveled to West Virginia for the initial VMSC Cross Country meet held by St. Joseph School on 9/11/18. The Lady Owls were led by Maeve Ciuba’s 18th place finish in an official time of 20:44. Mariel Scoville recorded a 20th place finish in 21:32 followed by Carmen O’Neill in 22nd place in 21:46. Sydney Gerard recorded a 24th place finish at 22:49, and Jack Gerard was our lone male runner finishing 43rd in a time of 21:28. The Lady Owls hosted Chelsea Academy on 9/13/18. The Owls started strong with Anika Pruntel holding her serve for a 12-0 start. A kill by Bea Youngquist put the girls up 19-12, and Pruntel served out the set with three aces and the help of a kill by Hannah Burak for a 25-12 win. Anika Pruntel held her serve for six points with three aces to start the second and final set. Lexi Kurtz served four straight points to give the Owls a 17-12 lead, and Bea Youngquist finished the set and match with back-to-back service aces for a 25-15 win and a 2-0 team sweep. Anika Pruntel had four aces in the set while Liza Dareing and Bea Youngquist all had kills in the set. Our record is 1-0 on the season. The Lady Owls hosted Chelsea Academy for their first DAC match on 9/13/18. The Owls gave the Knights all they could handle in the first set, but the Knights scored nine of the last 10 points to win the set 25-17. Mari Tisera had an ace and two kills in the set. The Knights surged to a 10 -4 lead to begin the second set, but the Owls fought back and tightened the score to 17-19 on a kill by Anna Schuster. The Knights pushed to a strong finish scoring six of the last eight points to win the set, 25-19. Anna Schuster had two aces to go with her kill in the set. The Knights controlled the third and final set, 25-18 and won the match, 3-0. Lucy Clark and Liza Dareing had kills in the final set. Our record is 0-1 in the DAC and overall. The Owls hosted Middleburg Academy for a non-conference game to begin their season on 9/13/18. 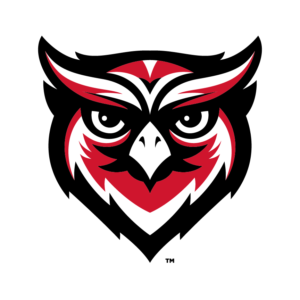 In their first action since having thirteen seniors graduate last spring, the Owls looked slow playing with a small roster. The Dragons scored five goals in the first half and tacked on four more goals in the second half for a 9-0 shutout. Our record is 0-1 overall on the season.